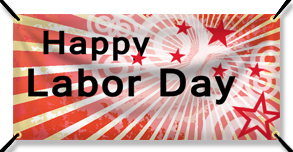 We hope that everyone has a great Labor Day! Our offices and production facilities will be closed on Monday to celebrate Labor Day. Although our offices will be closed, you can still place your orders online. We will process the orders when our offices open again on Tuesday.